Many of us in the Slow Travel Group include in our activities bespoke excursions, in which we take our guests to special places in our area. 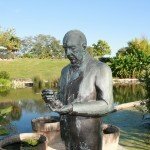 We do the research, and our guests benefit from our local knowledge. On our hotel barge the Saint Louis, we always try to match our guests’ interests with some of the fantastic things that are to be seen in the area. Very often the places will be of historical interest, or will be beautiful, or they will be seriously unusual. One place we sometimes take guest to fits all three criteria – it is the oldest water lily nursery in the world, in the valley of the River Lot. The Latour-Marliac nursery was founded in 1875, and it is very significent in that it was the source of inspiration for Claude Monet, as well as being the source of water lily plants that Monet bought to plant in his newly-created water garden at Giverny. The founder of the nursery, Joseph Bory Latour-Marliac, was a pioneer in breeding and hybridising water lilies, and it was at the World’s Fair in Paris in 1889 that Monet and Latour-Marliac met, brought together by the collection of sensational plants that Latour-Marliac had created. The nursery is open to the public, and visitors can stroll around the cultivation ponds, the lake, and the hothouse. There is a museum, a restaurant, and overall the whole place has an atmosphere that is deeply relaxing and very beautiful. The museum includes invoices and other documentation relating to the Claude Monet contact. 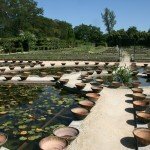 It is interesting to see the terra cotta pots, that Latour-Marliac used 135 years ago for the propogation of his lilies. 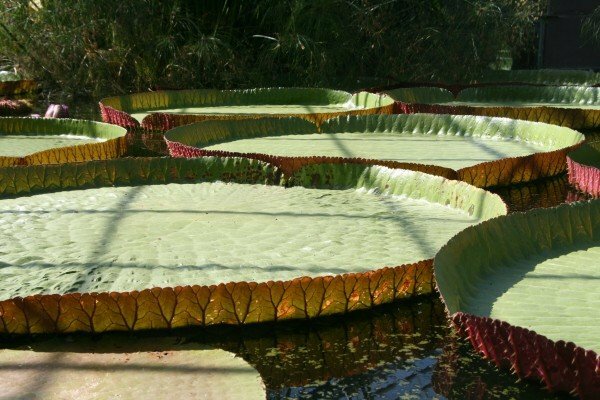 One particularly stunning lily ito be found on the visit is the Victoria Giant Amazonian Water Lily. This plant has flowers that are nocturnal and hermaphroditic, and the pads can attain up to four feet in diameter. Not only is this visit one where a visitor can find great peace and relaxation, and where a plant enthusiast can find a unique collectionof lilies of historical interest, it is also a magical place for all those who take pleasure in finding other aspects of the natural world – for example the dragonflies and the frogs! We have taken guests to this remarkable place four or five times during the 2011 season. It is just one of a very wide range of visits that people are unlikely to find if they travel independently.